“IT is unique because, if leveraged correctly, it’s the single most important investment an organization can make to scale to meet its mission,” said MainSpring Chief Strategy Officer Ray Steen. CRN®, a brand of The Channel Company, has named MainSpring, Inc. to its 2018 Managed Service Provider (MSP) 500 list in the Pioneer 250 category for the fourth time. This annual list recognizes North American solution providers with cutting-edge approaches to delivering managed IT services. CRN’s MSP 500 list shines a light on the most forward-thinking and innovative of these key organizations. The list is divided into three categories: the MSP Pioneer 250, recognizing companies with business models weighted toward managed services and largely focused on the SMB market; the MSP Elite 150, recognizing large, data center-focused MSPs with a strong mix of on-premises and off-premises services; and the Managed Security 100, recognizing MSPs focused primarily on off-premise, cloud-based security services. In an ever-changing IT landscape, businesses, nonprofits and associations rely on IT firms like MainSpring to improve operational efficiencies and maximize their return on IT investments. 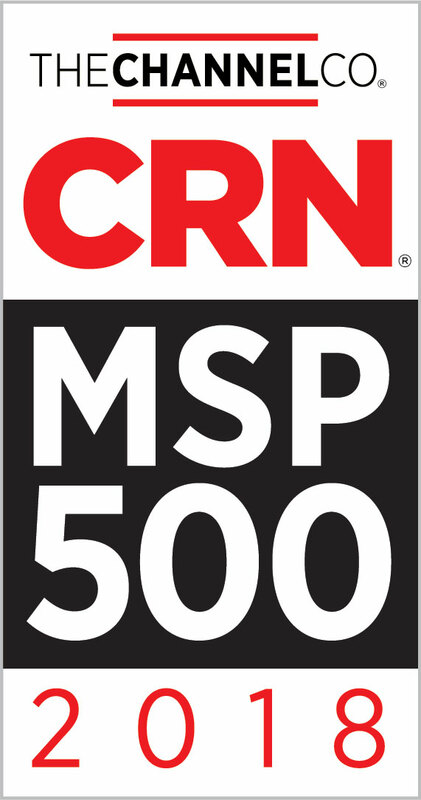 The MSP500 list will be featured in the February 2018 issue of CRN and online at http://www.CRN.com/msp500. MainSpring, Inc., celebrating its 25-year anniversary, is an IT strategy and consulting firm that arms organizations with the strategy, tools and resources to impact their mission. Founded in 1993, MainSpring is headquartered in Frederick, Md., with offices in Towson, Md., Florida, Ohio, Washington and Wisconsin. The firm supports a wide range of clients including businesses, nonprofits and government agencies such as the Department of Defense.